It's hard to believe that one of the top tools for learning as recognized by the Center for Learning &Performance Technologies is blocked in many schools today. Fortunately, innovative educators are resilient souls. If they can't get the learning to their students, the old fashioned way, they'll find another. In this case, the tool we're talking about is YouTube. As pointed out in Edudemic's50 Education Tools Every Teacher Should Know About, "Not all schools allow YouTube, but they are missing out as the site contains a wealth of great learning materials for the classroom. There’s even a special education-focused channeljust for teachers and students." So, what's an innovative educator to do if their school is one that blocks YouTube? Here are some ideas to access YouTube videos. Blendspace (https://www.blendspace.com) - Blendspace is a tool that allows you to blend your classroom with digital content. This includes YouTube videos. Create a lesson. Embed a YouTube video. Show it o your class. Clip Converter (http://www.clipconverter.cc) - Clip Converter is a free online media conversion application, which allows you to record, convert and download nearly any audio or video URL to common formats. Currently supported services: YouTube (HQ, HD, 4K), Vimeo and more. This free and fast converter allows you to watch your favorite YouTube videos on your cell phone, PSP, iPhone or nearly any other device. Keep Tube (http://keep-tube.com) - Keep Tube is the self-proclaimed best YouTube downloader. No software required. Keep Vid (http://www.keepvid.com) - KeepVid Video Downloader is a free web application that allows you to download videos from sites like YouTube, Facebook, Vimeo, and more. All you need is the URL of the page that has the video you want to download. Enter it in the textbox and simply click 'Download'. KeepVid will then fetch download links in all possible formats that the particular site provides. SafeShare.TV (http://safeshare.tv) - SafeShare.TV bills themselves as the safest way to watch and share YouTube videos. Unblock YouTube - Share some articles, like the two mentioned earlier in this post that explain that YouTube is one of the top tools for learning. Explain that you want to teach with the top tools and will ensure kids are armed with the how to use online resources responsibly. If you are able to unblock YouTube, make sure you know how to view videos in safety mode. Have you used any of these tools or ideas? Which did you like best? Why? What kind of challenges have you experienced? Have a great lesson with a YouTube Video? Share in the comments. Also note that in some of the resources mentioned above (i.e. Blendspace) you are not downloading the video, but rather showing it in container that is not blocked by schools so that it can be viewed. 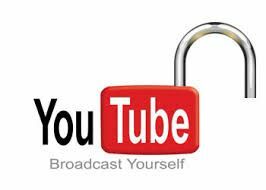 Another option is that YouTube now offersCreative Commons-licensed videos, which are safe to use. To find them, enter your keywords into YouTube’s search bar (i.e. how to make a paper plane) then click on the “Filter & Explore” tab to the far left. In the middle of the drop-down list are the words “creative commons.” Click here and all the videos that appear under your search term will be Creative-Commons licensed.